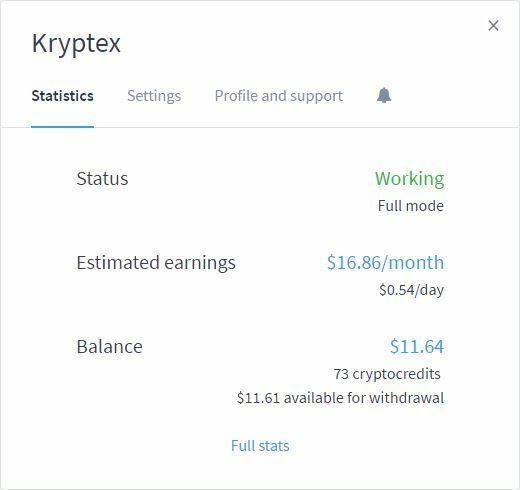 Kryptex Bitcoin mining software is an easy to manage tool that I personally use for more than a year now. I first wrote about it on my old blog MinerPath after the Nicehash hack, when everyone was looking for an alternative. 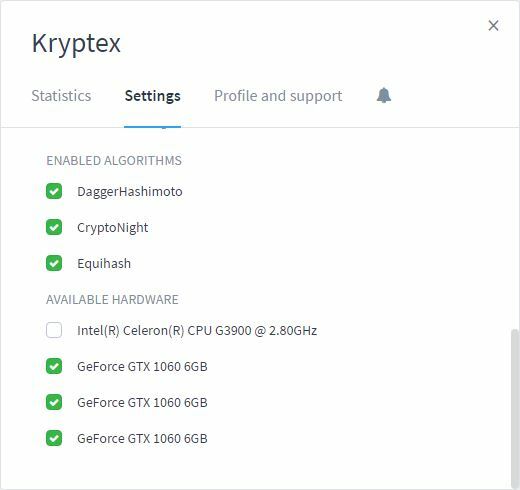 Very easy to install and configure, this tool definitely deserves to be listed among the best bitcoin mining software to look for in 2019. Unfortunately, they currently have Windows version only, and there are no news about Linux nor Mac versions at the moment. BTC PRO motherboard, 4GB DDR4, 3 x 1060 GTX, Windows 10, no overclocking.